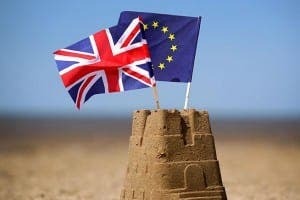 COSTA del Sol finance and property experts have been left in ‘shock’ by a vote for Brexit. With Britain voting to Leave the EU, the future of hundreds of thousands of expats has been thrown into doubt. And with an already plummeting pound and a fragile UK market, many experts backing the Remain campaign are bracing for mass change. “It was obviously a massive shock and a massive disappointment,” regional Vice President for Andalucian at the British Chamber of Commerce Derek Langley said. “The whole of the chamber is devastated by the news, we really didn’t see this coming. He added: “Those that voted to Leave will have to accept the ramifications. I would be particularly worried for those who live and work in Gibraltar. Meanwhile, expat chartered surveyor Campbell Ferguson said the Brexit vote will already be impacting expats and Gibraltarians. He added: “People living in Spain and working in Gibraltar have effectively just taken a 10% wage cut. “Meanwhile UK buyers will have to spend 10% more to get their property. Despite the general feeling of disappointment, some experts are doing the best to fan the flames. Expat solicitor Alex Radford is one of those urging expats to remain calm. “It is important to bear in mind that there are unlikely to be any changes to the relationship between the United Kingdom, Spain and the EU and the current laws for at least two years during which period the United Kingdom will negotiate its EU exit process. I can assure you my wife and myself received our polling cards in good time and voted in the brexit referendum. FYI, “Fanning the flames” only makes a fire worse….hope the experts aren’t fanning them too hard…..